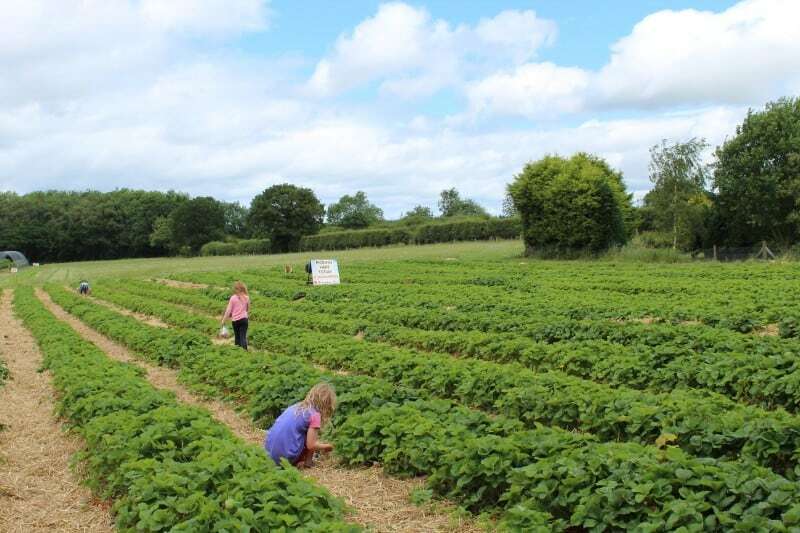 Strawberry Picking Yorkshire – one of the highlights of our summer is going to pick strawberries. Strawberry picking starts mid/late June around here. There is something so delightful about it and the kids love doing it (just don’t let them pick too many unless you want a second mortgage!). We love to then eat them in the car on the way home when they are still warm from the sun – delicious! 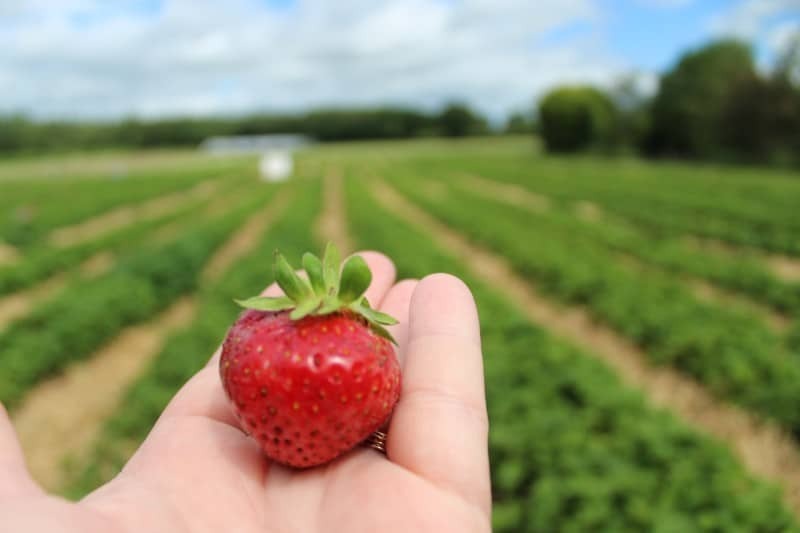 So, you you are looking for strawberry farms near you, here is a great list! Or look for other family days out in Yorkshire. 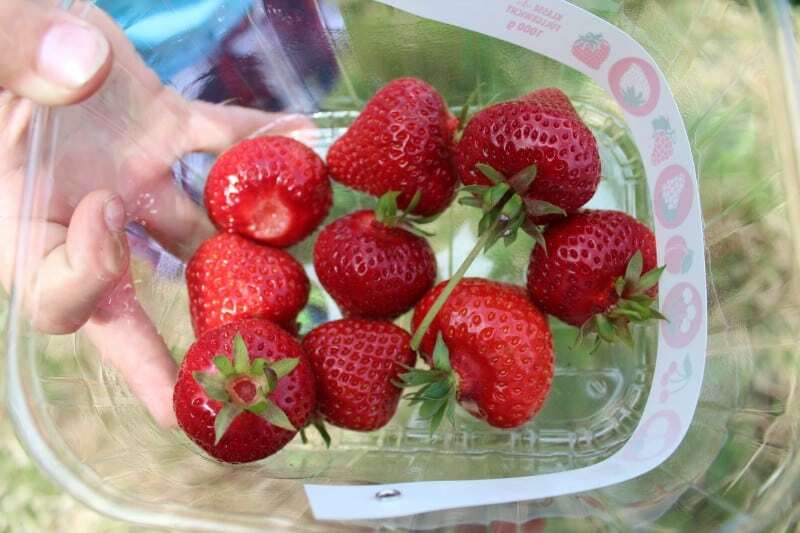 This is one of the closest places to strawberry pick near York. They sell other produce too, have a fabulous farm shop, excellent cafe and a children’s play area. They do an excellent breakfast and excellent cake – depending on when you plan to visit, so if you are clever, plan to visit when you can handily fit a meal in too! 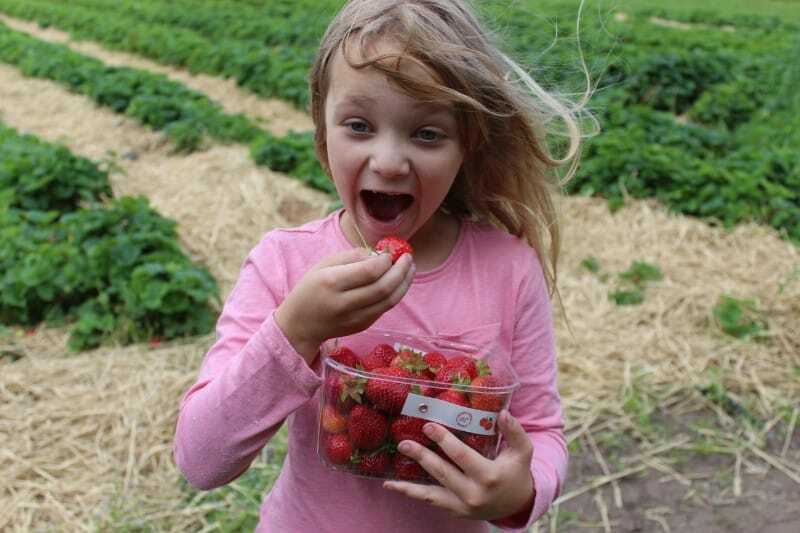 Kemps Farm is in Horsforth so good for Leeds and strawberry picking near Bradford. 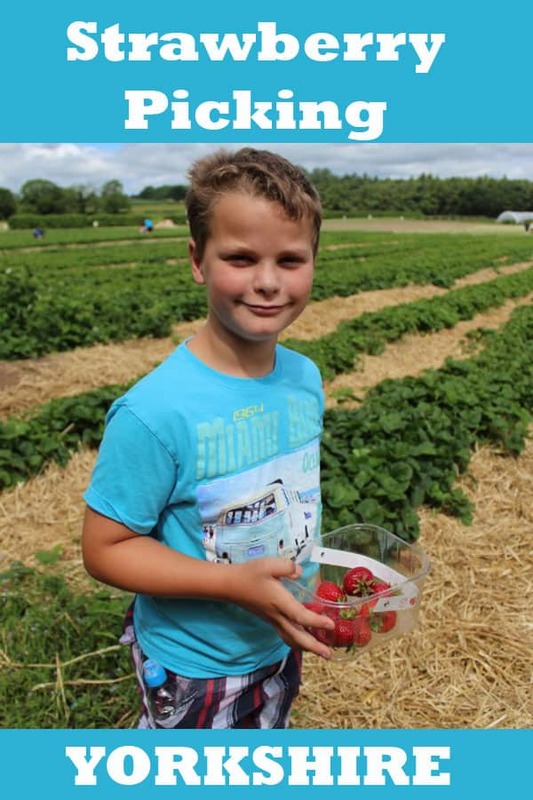 From their website “We keep things simple growing the strawberries in the ground, rather than in raised beds. 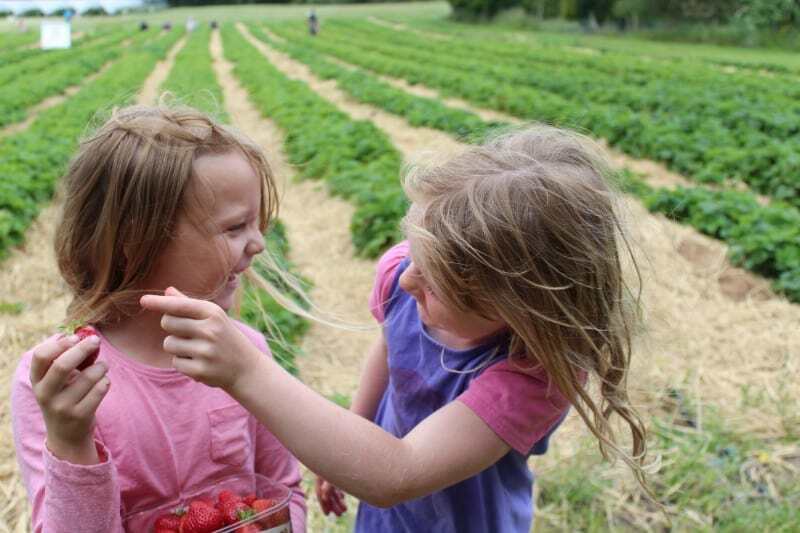 We find that not only do the strawberries taste better this way, but think it is more fun for the kids to pick them like this, as they can rummage amongst the leaves trying to find the biggest sweetest strawberry.” I love that – like a strawberry treasure trail! Lots of information on their Facebook page. Eastfield Farm have on site picnic facilities along with things to keep the children entertained. Ice creams, slushies, cheesecakes, drinks available as normal. 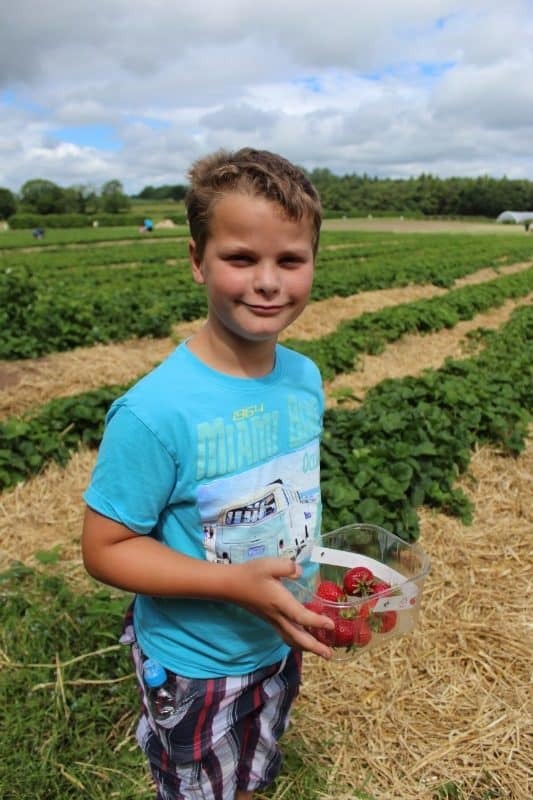 As well as strawberry picking! As well as strawberries, they have raspberries, blackcurrants, redcurrants and blackberries. In the autumn there is pumpkin picking too. My family and our online life!